The Mercedes-Benz C-Class reported a 69% year-over-year surge to 664 units in January 2017, enough to make Mercedes-Benz’s best-selling product Canada’s best-selling luxury vehicle. The C-Class was victorious in the same race in calendar year 2016, outselling the second-ranked Audi Q5 by 1641 units. 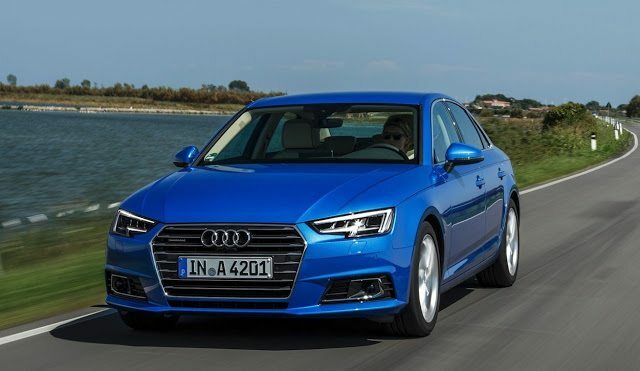 In January, the C-Class finished 94 sales ahead of a different Audi, the second-ranked Audi A4, sales of which tripled. Among premium brand utility vehicles, the Lexus RX was January’s leader, rising 6% to 554 units. 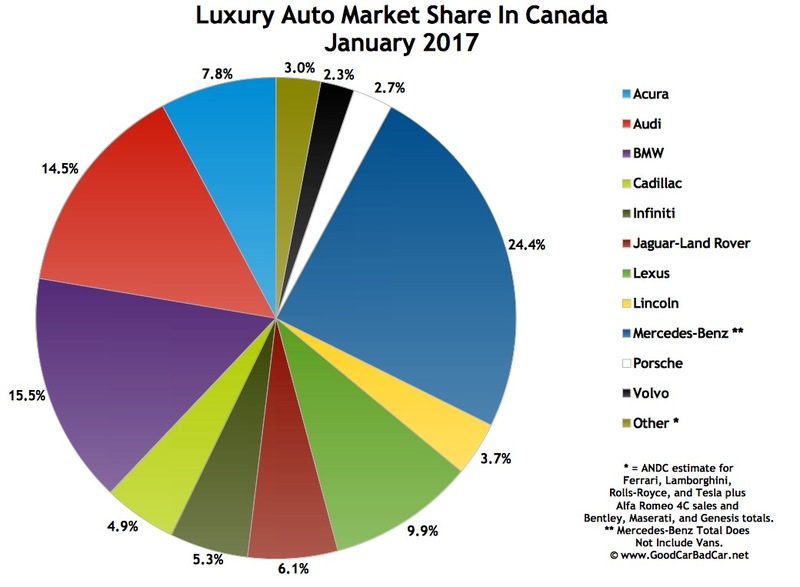 As Canada’s new vehicle market surged to an all-time January high of 111,000 units, 11 of the 15 top-selling luxury vehicles in Canada were SUVs/crossovers. Utility vehicle volume jumped 11% in Canada in January; car sales were down 5%. Among vehicles priced above $50,000, the Lexus RX led a group of top sellers that included just one car, and 14 SUVs/crossovers. ^ Mercedes-Benz Canada’s figures combine the E-Class with the CLS.